Jericho Canyon is a private winery welcoming a very limited number of guests by prior appointment only. In 1989, after 3 long years of searching, Dale and Marla Bleecher responded to a “for sale by owner” ad for a 135-acre Calistoga cattle ranch on Old Lawley Toll Road. Nestled at the base of Mt. St. Helena with the Palisades ringing the canyon, the site was awe-inspiring. The moment they drove though the driveway, they knew it was the place they wanted to raise their kids as well as their vineyard. Rich in California history, Jericho Canyon’s wild terrain was first reigned in by a member of the 110th New York Civil War infantry when he came west to plant a small vineyard. With the original barn and hundred year old cottage still in use today, in many ways Jericho Canyon remains unchanged. Sustainably farmed, the vineyard has only served to make the land more beautiful. Preserving nearly 70% of the ranch as wildlife habitat, roughly 40 acres of Cabernet Sauvignon, Merlot, Cabernet Franc, Petit Verdot, and Sauvignon Blanc cover what had been cattle graze land. Averaging an astonishingly low single ton per acre, each undulation of the terraces produces rich, intense, and unique fruit. With countless microclimates within the canyon, the variety found in the fruit requires multiple pick dates and as many as 40 separate fermentations. Noted winemaker David Ramey discovered the quality of Jericho Canyon’s grapes in the late 1990s, launching both Rudd Estate and Ramey Wine Cellars with Jericho Canyon Vineyard designated wines as their flagship red wines. 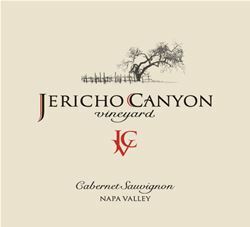 2006 was an historic year for the Bleechers and Jericho Canyon Vineyard; with the completion of their simply designed redwood winery and caves, it was the first year that Jericho Canyon wines were made entirely on site, producing an inaugural estate Cabernet Sauvignon. In 2011, Nicholas Bleecher graduated from UC Davis with degrees in Viticulture, Enology, and Managerial Economics. After experiencing winemaking abroad, he returned to Jericho Canyon to assist in all aspects of operations and released his first Sauvignon Blanc in 2014. Today, he and his family work together alongside consulting winemaker Aaron Pott, 2012 Food and Wine Winemaker of the Year, and the legendary Bordeaux based blending consultant, Michel Rolland. The goal each vintage is to produce an exceptional estate Cabernet Sauvignon, Sauvignon Blanc, and small lot wines reflecting the power of their hillside origins. To join the wine club, visit www.jerichocanyonvineyard.com or call 707-942-9665. Certain small production wines are offered on an allocation only basis going out twice yearly. Visit the winery for allocation program details. Jericho Canyon Vineyard is certified under the Napa Green Winery Program by the Napa County Department of Environmental Management (DEM) and the Association of Bay Area Government’s (ABAG) Green Business Program and completed all the regulatory components needed for environmental sustainability. These components included developing water and energy conservation methods, preventing pollution, and reducing solid waste. In addition to developing sustainable winery practices, this program is set to become the standard for the state of California. Jericho Canyon Vineyard is certified under the Napa Green Certified Land Program. Jericho Canyon Vineyard has created and implemented a customized farm plan with measured results that addressed all aspects of its property, vineyard land as well as non-farmed land, including practicing soil conservation, water conservation, stable drainage, riparian corridor enhancement, fisheries and wildlife habitat enhancement and long-term improvement and sustainability.